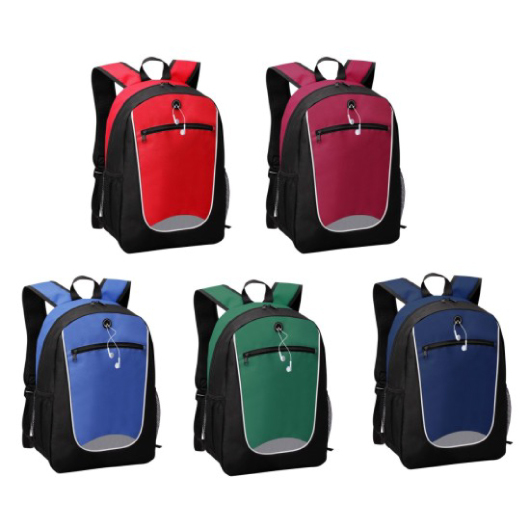 Make it easy to carry your daily essentials or camping gear with this backpack that let's you enjoy your activities knowing that you are using a quality product you can trust. 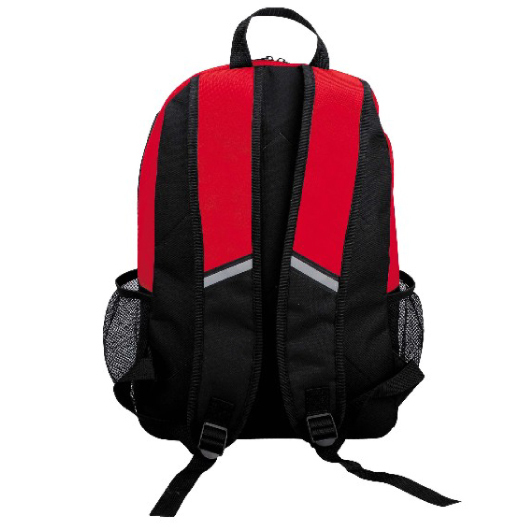 This backpack is an athleisure bag, which offers simple design & but with superior craftsmanship without compensating quality or functionality. 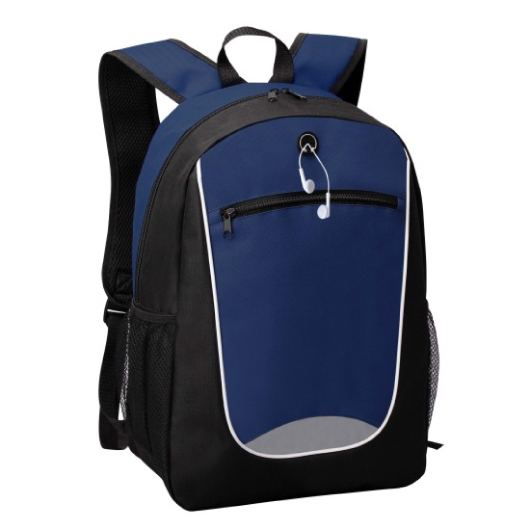 With its rugged design, multiple pockets, and exceptionally ergonomically designed features, this backpack is guaranteed to be one of the most fashion-forward, durable, & functional bags on the market today. 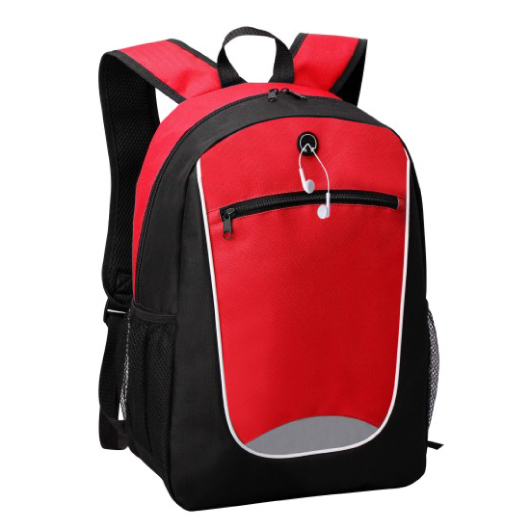 It is made from 600D polyester for strength. 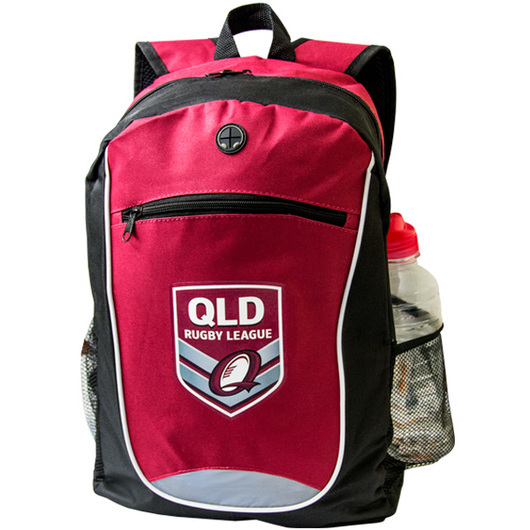 It features a main compartment with laptop layer, front zipper pocket, two side mesh pocket, rubber earphone outlet, padded back panel, and padded shoulder strap with reflective tape.